A solar company was sued for the second time for alleged racial harassment at its warehouse in California. 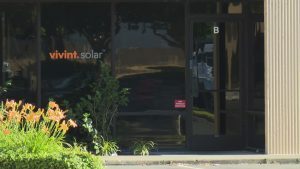 A Caucasian male, Jason Flick, who worked at the Natomas warehouse, has joined Teshawn Solomon in making claims of racial harassment by managers and workers at the Vivint Solar Sacramento location. Vivint Solar is based in Utah and is publicly traded specializing in home energy and automation. Solomon said that he reported that harassment to the company’s regional manager including sending photos of the cardboard clubhouse. No action was taken by the regional manager to end the racial harassments, said the lawsuit, and the manager later told Solomon not to mention the incident to human resources. Soon after that, Solomon submitted his resignation because he determined he had no where he could turn to, to find relief from the harassment, discrimination as well as retaliation he was enduring. The lawsuit filed by Flick on Thursday against Vivint, as well as the warehouse manager and regional manager, describes the work place as being racially hostile where Solomon was continually signaled out for racial harassment and discrimination by supervisors and co-workers who were predominantly Caucasian. The suit goes on to allege that Flick was told to scrutinize the time cards of Solomon extra carefully and frequently heard Solomon being called the N-word. In addition, the lawsuit filed by Flick speaks about the White only clubhouse which distressed and disgusted him. Flicks took pictures of the cardboard fort and gave copies to Solomon, who then made a complaint with management with not results, said the suit. Flick in the lawsuit alleged that the managers’ and employees’ conduct had been malicious, reckless and despicable while carried out with a willful and conscious disregard for the rights of others. Flick resigned this past March saying he could not tolerate any longer the hostile, racist, toxic work environment. When applying to receive unemployment benefits Flick included photos of the fort in the application, which he believes were shared with the office of human resources at Vivint, said the lawsuit. CEO at Vivint David Bywater said through a prepared statement, prior to the lawsuit filed by Flick that his executive staff had learned for the first time about the allegations of racial harassment when Solomon filed suit earlier in the week and an immediate internal investigation resulted in the termination of one worker and several others being disciplined.